Are you ever in a situation where you need to use multiple types of fuels? 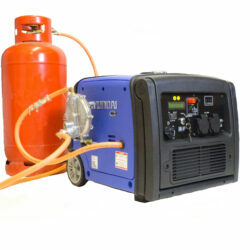 If so, the Hyundai HY1000Si-LPG is the perfect generator for you. 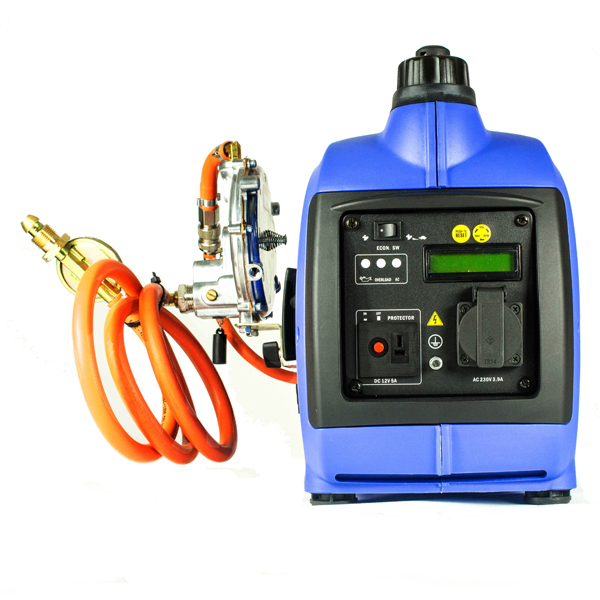 Featuring dual fuel engineering, the HY1000Si-LPG allows you to run the machine off of an LPG gas bottle as well as off of petrol. This feature makes the HY1000Si-LPG an extremely attractive generator for caravan and motorhome enthusiasts. 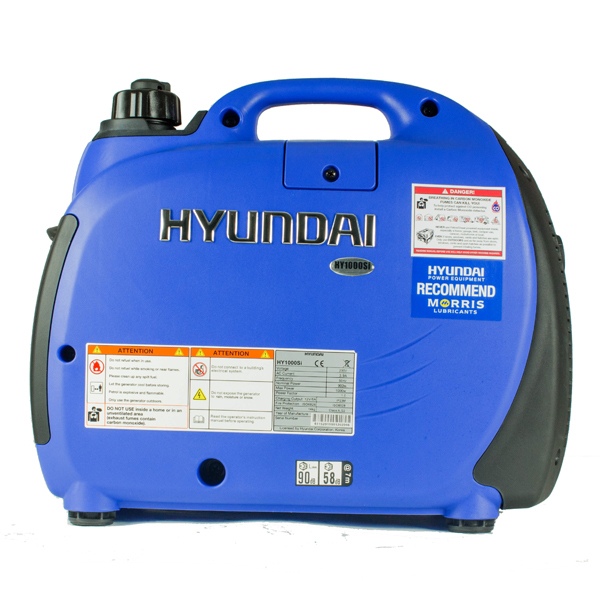 Furthermore, the HY1000Si-LPG is the smallest model of petrol inverter generator in Hyundai’s leisure range making it perfect to pack and take with you on any trip. 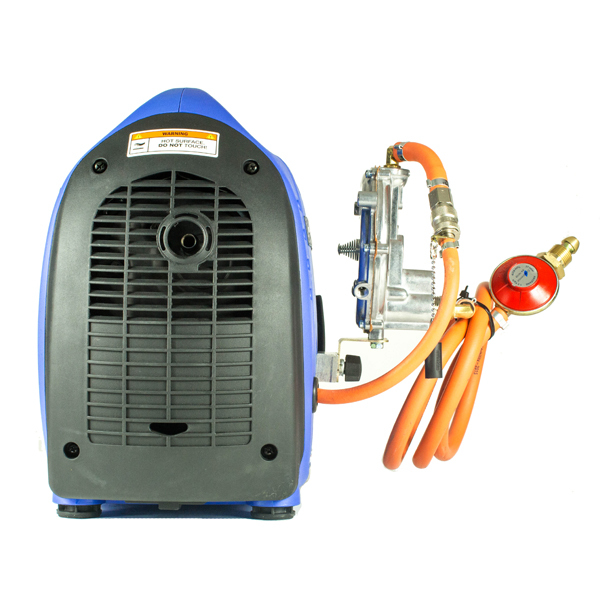 The Economy Throttle system controls the rpm of the engine based on the current load of the generator making it one of the more fuel-efficient machines in its class. Because of this, you can expect to get up to nine hours of use on just 2.7 litres of fuel. 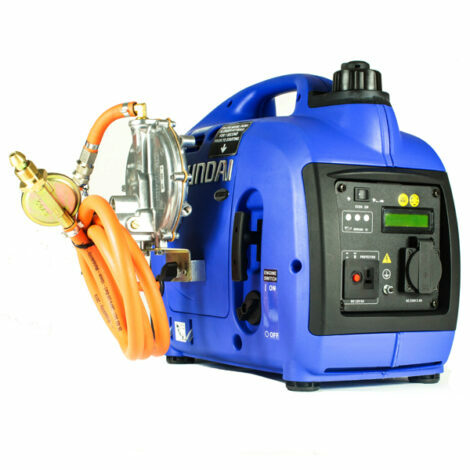 If you want a great generator for caravanning and camping, look no further than the HY1000Si-LPG. 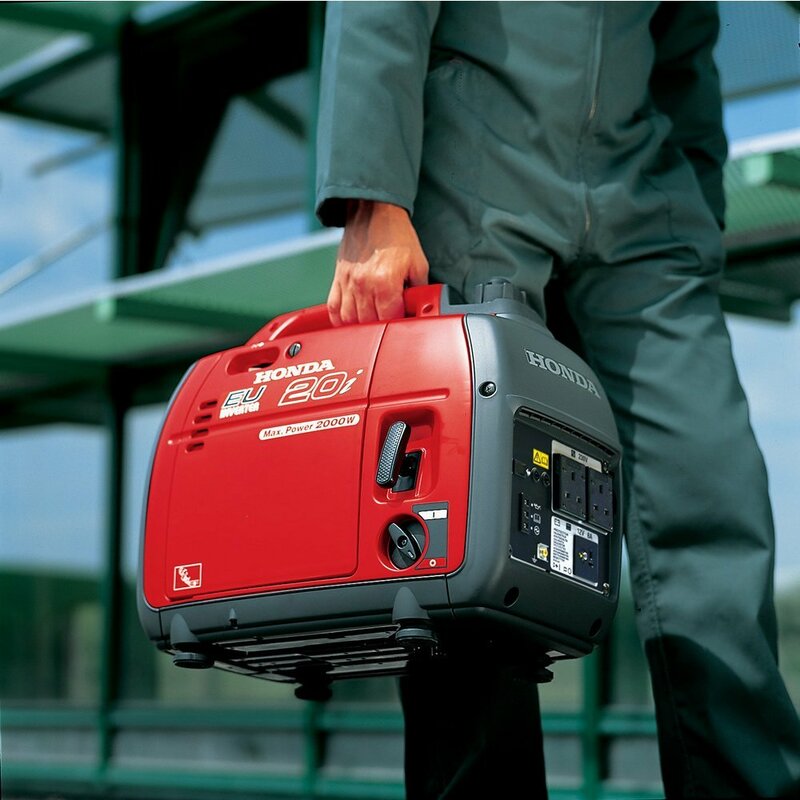 Newly redesigned for 2016, the HY1000Si is a compact, lightweight and portable inverter generator which provides a convenient and cost-effective source of power, producing 1000w / 1kW. Ideal for caravans, camping and motorhomes, it allows you to take the modern luxuries with you wherever you go. This redesigned model has a slimmer case which allows you to store it in your car boot or caravan cupboard, as well as a molded handle which makes it easy to carry with a lightweight design of just 14kg. This smaller case is made possible due to the compact inverter board which is brand new for Hyundai inverter generators. It also features a full LED display which makes it easy to monitor the performance of the generator, including the voltage, frequency and hour count. Powered by a 50cc 4-stroke easy start, recoil pull Hyundai petrol engine, the HY1000Si produces 1000w / 1kW and is more than capable of powering televisions, small air compressors for inflatable beds, electric heaters, laptops, lights, etc. The control panel features a 230v socket for use with any appliance which uses a standard 3-pin 13A UK mains plug, as well as a 12v DC battery charging outlet, so it’s ideal for a variety of uses. Producing a pure sinewave output, it can safely power all sensitive electronics without risk of damaging or overloading them. Already an economical generator, the HY1000Si also has the added benefit of an “ECO” mode which, when selected, will lower the engine revs to match only the load being applied, which in turn increases the fuel economy, lowers the noise produced and extends the lifespan of the engine. 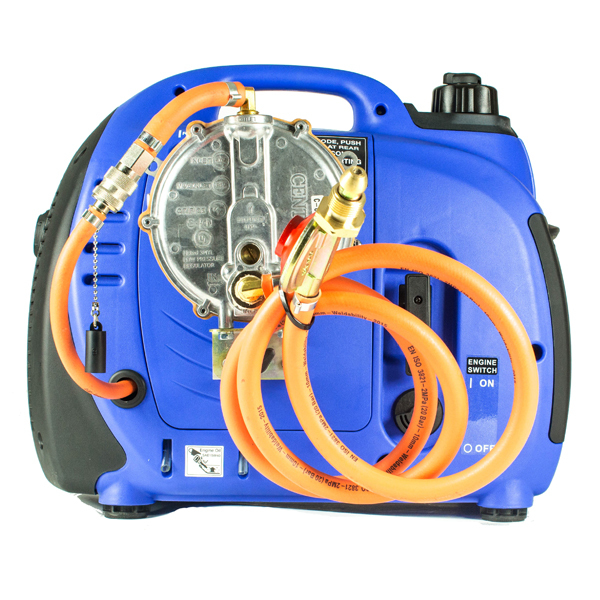 The HY1000Si can also be converted to be a dual fuel machine, running on both LPG as well as petrol, which is extremely convenient for caravan owners who will already keep a supply of LPG with them at all times. 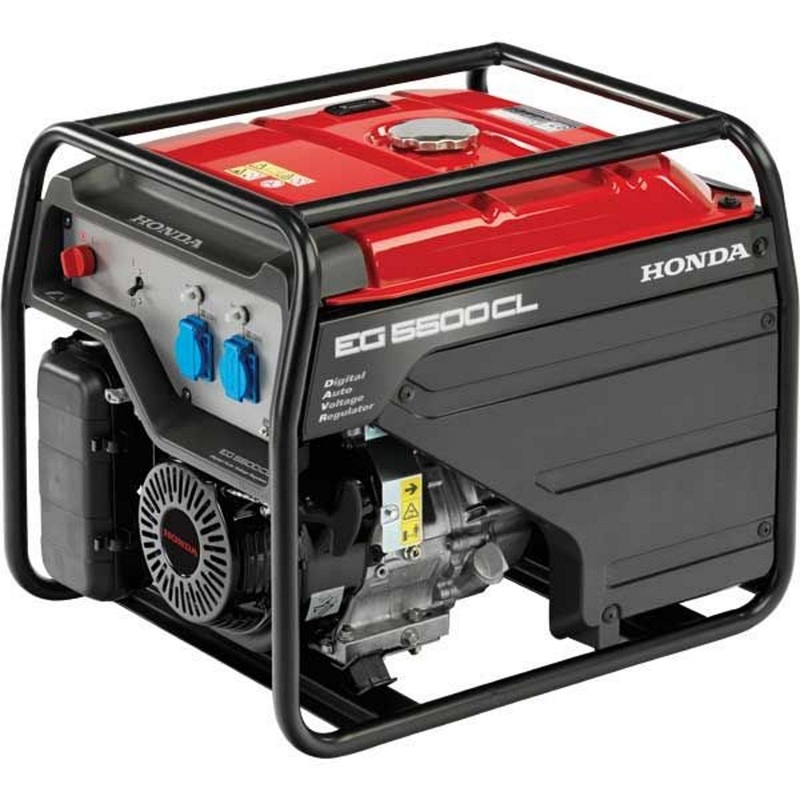 Featuring 2000 watts of clean, quiet, and reliable power, the Honda EU20i is the top of its class for the serious leisure user. The Honda Ecothrottle feature conserves fuel and enables the generator to run for up to 10 hours on a single tank of fuel at ¼ load.